Beaux Frères is among the wineries that has produced excellent 2016 Pinot Noir. It's been quite a ride covering Oregon the past two years. When you're in Willamette Valley, the sense of discovery and adventure is palpable, and you can taste it in the wines. This reminds me of Sonoma County when I moved there 30 years ago—that feeling that a wine region is finally getting the wider attention it deserves. A series of excellent vintages in Willamette Valley has helped. The 2016 vintage also brought plenty of heat, but pockets of cool weather during the summer tempered the grapes' ripeness, at least compared to the previous two vintages. I've tasted a sufficient number of 2016 Willamette Pinots to know they are generally polished and sleek, so easy to drink on their own, yet with enough fresh acidity to sing with food. 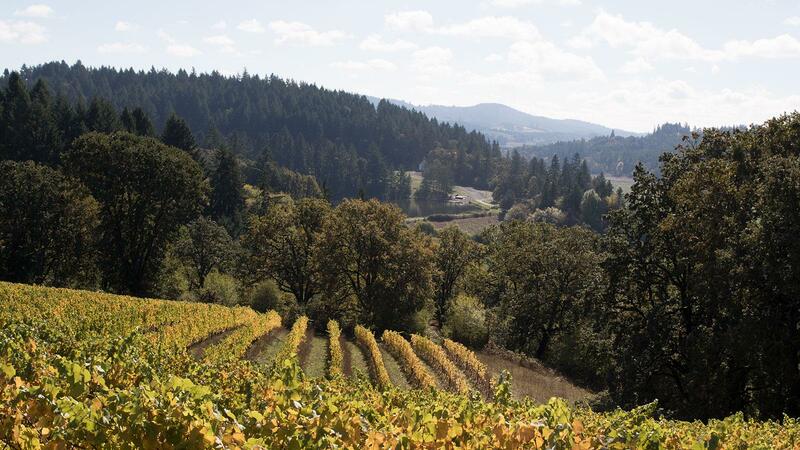 For those who prefer the classic style of Willamette Valley Pinots—light on their feet, with red fruit flavors and lively acidity—you'll find more such examples among the 2016s than in the two previous vintages. Quality appears high across the board so it's hard to say at this early date which appellation within Willamette had the most success, although Eola-Amity Hills and Yamhill-Carlton look promising. Stay tuned in the coming weeks as I review several impressive new projects in Willamette and revisit the wines of veteran producers who are giving those upstarts a run for their Pinot. WineSpectator.com subscribers can check out my reviews of the 2016s so far; this list will continue to expand in the coming weeks. Meanwhile, continue to enjoy the 2014s and 2015s now on the shelves, but leave room in the cellar for the spirited 2016s. It's a good time to love Oregon Pinot Noir. What a wonderful and balanced Review by Mr. Fish. Very educational, for the the Amateur in Wines. Despite the wonderful Reviews and Education I receive from Wine Spectator, getting these wonderful Wines into my Cellar is another Story. Thank You so much for all of You, giving me the Chance to drink superb Wines. Respectfully submitted, Priv. Doz. Dr.med. Peter Werner, M.D., F.C.C.P., Assoc. Professor of Medicine. Tim, this is a good preliminary review of the 2016 vintage. The wines are changing rapidly (for the better) as they always do.